TOKYO, JAPAN, November 2, 2017 --- NTT DOCOMO, INC. announced today that it has agreed with SONY to conduct a joint trial involving the real-time transmission of high-definition video via a fifth-generation (5G) mobile communications system to a 4K digital signage system fitted to the outside of the New Concept Cart, an experimental high-tech vehicle developed by SONY. DOCOMO will evaluate 5G technologies that it plans to commercialize in 2020. The trial will be conducted at the 5G Trial Site in Tokyo, which DOCOMO built to assess 5G technologies and potential commercial services that it is developing with partners. Leveraging 5G's advanced capabilities, including ultra-high speed, ultra-large capacity, low latency and massive connectivity, the test will evaluate the speed and quality of high-definition video transmitted via a 5G system to the vehicle's high-definition 4K digital sign. 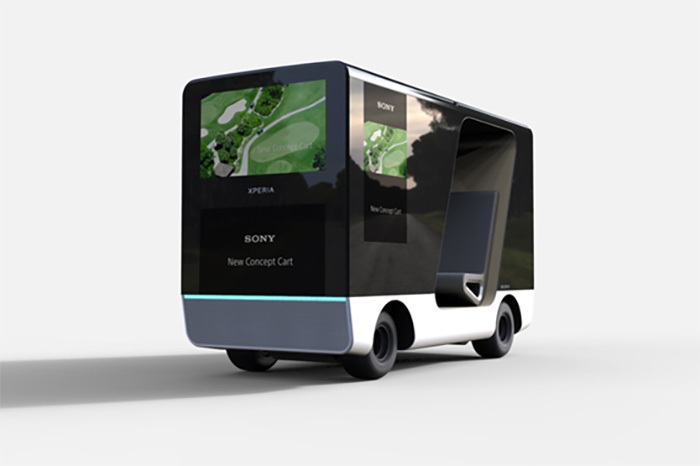 The New Concept Cart will be showcased at DOCOMO's research and development exhibition Mietekita Chotto Saki no Mirai (A Peek into the Near Future) at the National Museum of Emerging Science and Innovation (Miraikan) in Odaiba, Tokyo from November 9 to November 11. DOCOMO will continue to with partner with companies to create new commercial services based on 5G technologies that it is developing with major vendors worldwide.